- Choose Size - 1/16 in. thick foam x 1/4 in. x 150 ft. 1/16 in. thick foam x 3/8 in. x 150 ft. 1/16 in. thick foam x 1/2 in. x 150 ft. 1/16 in. thick foam x 5/8 in. x 150 ft. 1/16 in. thick foam x 3/4 in. x 150 ft. 1/16 in. thick foam x 7/8 in. x 150 ft. 1/16 in. thick foam x 1 in. x 150 ft. 1/16 in. thick foam x 1-1/2 in. x 150 ft. 1/16 in. thick foam x 2 in. x 150 ft. 1/8 in. thick foam x 1/4 in. x 75 ft. 1/8 in. thick foam x 3/8 in. x 75 ft. 1/8 in. thick foam x 1/2 in. x 75 ft. 1/8 in. thick foam x 5/8 in. x 75 ft. 1/8 in. thick foam x 3/4 in. x 75 ft. 1/8 in. thick foam x 1 in. x 75 ft. 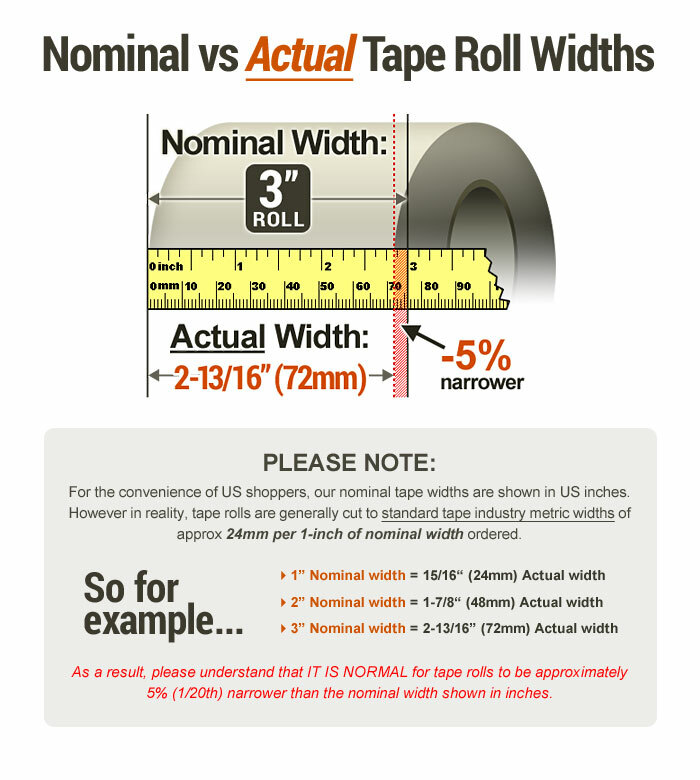 Purchased Most Frequently: 1/8 in. thick x 3/8 in. x 75 ft. (Black) | See Pricing Table below for additional options. 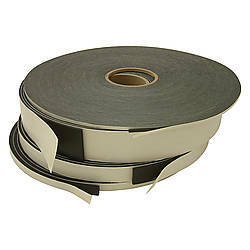 JVCC DC-WGT-01 Window Glazing Tape is a double-sided PE foam tape which is designed specifically for window glazing and is American Architectural Manufacturers Association (AAMA) certified. 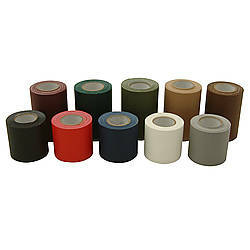 Glazing tape is typically used during the installation process to prevent wind and water from entering by creating the inside seal between the insulated glass panel and the window sash/box. Other uses include mounting of emblems, nameplates, plastic strips and mirrors. 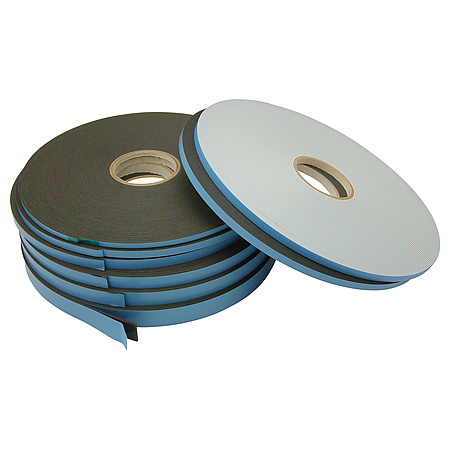 The foam used for JVCC DC-WGT-01 Window Glazing Tape is a high performance closed cell cross-linked polyethylene which is coated on both sides with a high-performance solvent-based acrylic adhesive. 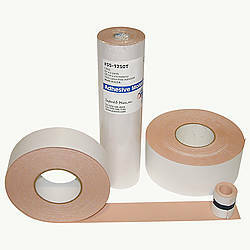 The adhesive system is formulated to bond with glass, wood, and aluminum substrates with quick stick, high peel adhesion, and a very good strength. 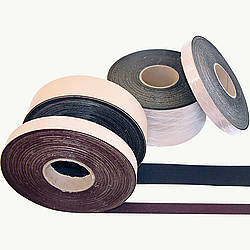 JVCC DC-WGT-01 double-sided window glazing tape has outstanding resistance to weather needed for outdoor applications. 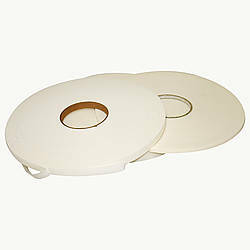 It has a superior seal against dust and moisture due to its flexible, soft foam. The easy peel poly liner allows for continuous and complete liner removal during window glazing applications (creating the seal between the insulated glass panel and window sash which helps prevent air and water leakage). 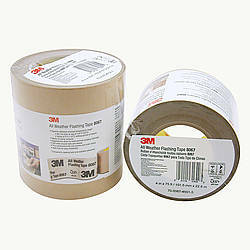 Glazing tape is a cleaner and more convenient option over glazing putty and other messy or more difficult to apply products. Clean debris from from the surface with a clean, damp rag. The surface should be completely dry before proceeding with applying the tape. 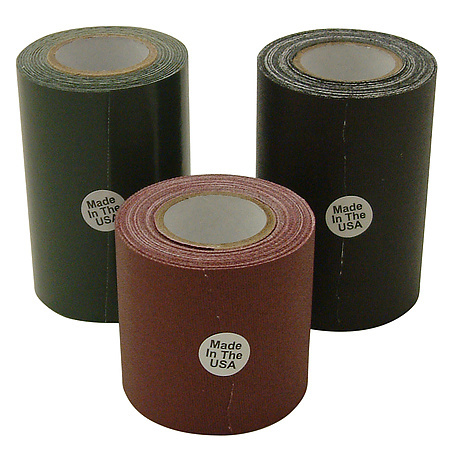 Without over-stretching the tape, apply the adhesive side to the surface. 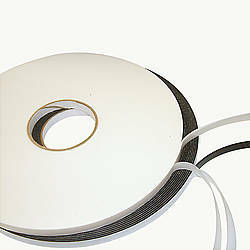 Use a weighted roller to ensure the bond from the tape to the surface and cut as needed, leaving a minimal gap. Make sure not to stretch the glazing tape around corners which can result in thinning on the outside and may create a bulge on the inside. 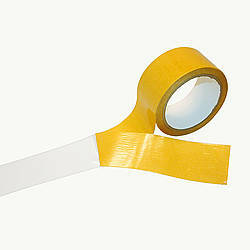 Avoid overlapping the foam tape as it will not compress enough to avoid gaps. 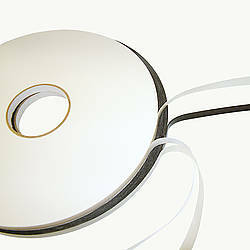 For small gaps, use a silicone or other sealant that will work with the JVCC DC-WGT-01 Window Glazing Tape product. Pull back a short length of the liner to create a tab. Remove the liner by the tabs and press the glass into the foam tape. Allow 24 to 72 hours for full adhesion strength. 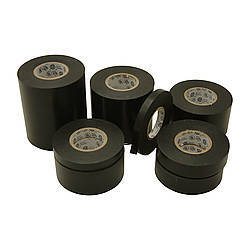 Make sure to store tape at room temperature and apply on a not-cold surface. Thickness: 4 mils (liner) What is mil thickness? 1/16 in. thick foam x 7/8 in. x 150 ft.
1/16 in. thick foam x 1-1/2 in. x 150 ft.
1/16 in. thick foam x 2 in. x 150 ft.